Pertinent to global economic issues and events. As Roberts points out, these actions are being taken to support the big banks. I agree, but it goes much deeper than that. The underlying objective is to preserve the global interest-based debt-money system which requires continual expansion if debt, an inherent systemic flaw which I call the “debt growth imperative.” The result of these market manipulations, of course, has been the inflation of market bubbles in bonds, stocks, and real estate, and the massive transfer of wealth into the hands of a small segment of the population. Roberts does not mention it, but the recurrent waves of tax cuts for the rich likewise seem to be designed to keep these market bubbles pumped up. The wealthy class, for the most part, does not spend these windfall gains, they invest them in, you guessed it, bonds, stocks and real estate. If tax cuts were to go mainly to the lower and middle classes, what would they do with the money? They would surely spend much of it, which would stimulate consumption of consumer goods and restore the real economy, but much of it would go toward reducing the massive amounts of debt that these people carry and make it unnecessary for them to borrow even more. A system that requires perpetual expansion of debt cannot tolerate that. One of my correspondents, Irish financial advisor Christopher Quigley, recently sent me a link to his article, Civilizations Die by Suicide Not by Murder. In that article, he mentions famed historian Arnold Toynbee’s monumental work, A Study of History which describes the rise and fall of 23 civilizations throughout human history. Toynbee concluded from his study that, “civilizations start to decay when they lose their moral fiber and the cultural elite turns parasitic.” That certainly rings true for our present world—the banking and corporate elite and their political minions have clearly turned parasitic, putting power and profit above all else. Then by some strange coincidence I happened to notice a few days ago a book on display at my public library. The book is, The Lost City of the Monkey God, by Douglas J. Preston, which tells the story of the search for a legendary city that was supposed to have existed several hundred years ago in the eastern part of Honduras in Central America. It is a true adventure story that reads like fiction. Preston was part of a team that went looking for, and by using some highly advanced technology, ultimately found, not only a city, but extensive remnants of a lost civilization, one that appears to be distinct from the Mayan and others of the region that are well known. What does that suggest for western civilization today? Who are those that comprise our privileged class, and what is the nature of the bargain between them and the “commoners?” I leave it to the reader to ponder those questions, but I would suggest that the bargain must at least include assurances of social justice, basic human rights, and access to a fair share of our natural and cultural heritage. But however one might define that bargain, political developments around the world in recent years seem to indicate that increasing numbers of people are feeling let down by their leaders. Are we then doomed? Will western civilization continue to decay and collapse to be followed by another dark age? I think it is not “we” who are doomed, it is the global interest-based debt-money regime that sits at the pinnacle of the power pyramid, and the American imperial hegemony that are doomed. How long the collapse will take, how much pain and suffering will it cause, how can the present dysfunctional systems be displaced? These are all open questions. The optimist in me sees the peaceful emergence of a multi-polar political order and a sustainable and equitable global economy based on the devolution of power and new exchange and financing mechanisms that are interest-free, cooperative, and grounded in a spirit of compassion and mutual aid. –t.h.g. Edit: This article from the BBC provides an excellent elaboration on the topic of this post: How Western Civilization Could Collapse. Despite the happy talk coming out of Washington and New York about the supposed economic recovery, the present economic and political order remains on course toward self-destruction. I’ve said it over and over again that the fundamental flaw is the compound interest that is built into the global debt-money regime. The fact that virtually all money is created by banks that “lend” it into circulation at interest causes debts to grow faster and faster with the passage of time. A quick glance at the timeline for public and private debt makes this obvious. Prof. Richard Wolff, in the video below, does not mention this debt-growth imperative, but he does a good job of explaining how the governments and the central banks managed to temporarily forestall total collapse following the 2008 financial crisis, and why their actions are failing to solve the basic problem of slack demand. We need to look beyond economic ideologies to find ways of defusing the debt bomb which grows bigger and more deadly with every passing day. A shift toward innovative, interest-free, approaches to the exchange of value and the financing of enterprise development provides the most promising route toward a soft landing. 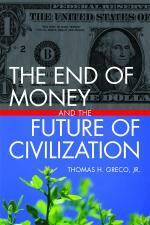 See The End of Money and the Future of Civilization. It’s very difficult to know what the tactics and specific manipulations of the global elite might be from day to day. The Brexit vote surprised almost everyone, including me. But it’s hard for me to imagine that Brexit might be something the elite want because they have engineered the terms of European union to concentrate ever more power in their own hands, which is what they’ve been up to for decades, if not centuries. Therefore, I expect a lot of foot dragging and I do not expect the referendum to be acted on with any haste. Instead, terms of union will be renegotiated with the apparent, but not real, return of some sovereignty to the Brits. Then “stay” will be sold to them and another referendum held to legitimize remaining in the union. In the meantime, the ongoing financial crisis is approaching another tipping point which may throw the banking system into a chaotic state with which governments will be unable to cope. [i] It may then be a case of “every nation for itself” as people demand that their respective governments “do something” to prevent breakdown of their domestic economies, and to hell with EU regulations. That will mark the de facto disintegration of the European Union. Of course, I may be completely wrong, but it will more likely be an error of timing, as I see the breakup of the UE and the demise of the global money and financial regime as inevitable. –t.h.g. Varoufkis launches a powerful personal counter-indictment against his accusers.